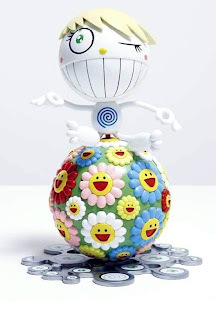 This sculpture is, by famed Japanese artist Takashi Murakami, called Mr Wink/ Cosmo Ball. There are 3,000 of them out there. They were given away as Christmas gifts in 2000 by the Peter Norton Family. Since 1988, Norton Family have been sending out limited edition art projects to family and friends. These limited edition art pieces range from doll houses (complete with miniature furniture) to chipped distorted tea cups. My favorite one is.. drum roll please... Murakami's Cosmo Ball! It really is the most whimsical of the bunch. It even comes with a CD by the band Zak Yumiko inside the ball. You get to look, touch, and hear. How cool is that? 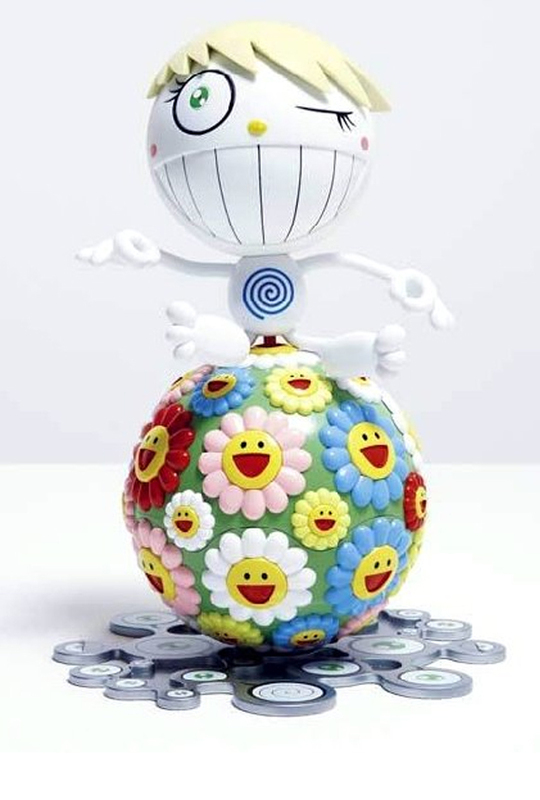 On top of everything else, as Murakami's fame grows, so does the value of the sculpture. One was sold at Phillips de Pury Auction house for $24,000!! !